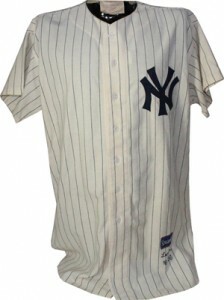 Home » Baseball » Baseball Memorabilia » Want to Own Don Larsen’s 1956 World Series Perfect Game Jersey? 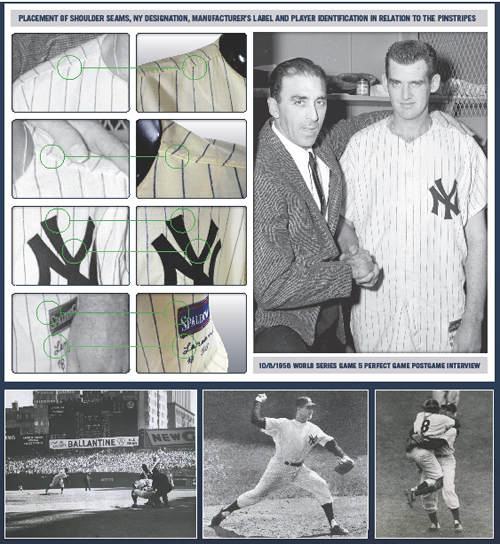 Want to Own Don Larsen’s 1956 World Series Perfect Game Jersey? Don Larsen's Perfect Game in the 1956 World Series is one of baseball's greatest single-game achievements. It made the pitcher an instant legend. The game is still mentioned by baseball fans who weren't alive to see or hear about it firsthand. Larsen's jersey from the game is now set to be sold at auction this fall. Steiner Sports is handling the sale, which will be open for bidding starting on October 8th, the 56th anniversary of the game. 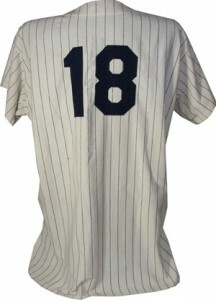 Although it's highly unlikely the jersey will come close to the $4.4 million a 1920 Babe Ruth jersey recently sold for. Larsen's Perfect Game came in Game 5 of the 1956 World Series. It is the only postseason Perfect Game. Larsen needed just 97 pitches to retire every member of the Brooklyn Dodgers he faced. The win gave the Yankees a 3-2 series lead. New York would go on to take the championship in seven games.